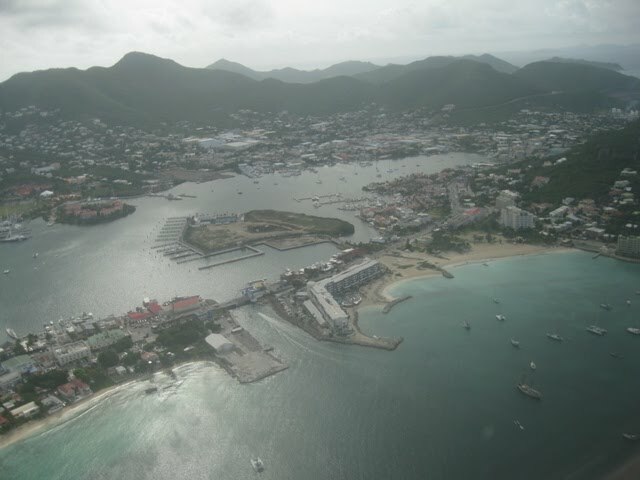 Last year Irie spent five months in St. Martin; a big part of the year, that doesn’t have much to do with cruising. Then another three months in Grenada, for pretty much the same reasons: selling Wiries and running the business in the States, combined with boat projects. The list of boat problems never ends and one needs to make a living somehow when wanting to be a sea gypsy, no matter how primitive and economical the lifestyle. The other months of the year, we sail from place to place with some sightseeing and, ideally, a bit of enjoyment along the way. This year, we came back to St. Martin to work for about three months, order parts from the States and repair some things on Irie. We planned ahead and were busy the whole period and then some. 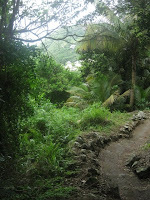 When May approached, we started to look forward to getting out of this land locked, not very Caribbean like lagoon. What is the use of a sailboat when you don’t sail? Problems with the outboard engine would keep us here longer than anticipated, however, and seeing the places missed on our other two passages through the Eastern Caribbean island chain (mostly because of weather issues) was in jeopardy. Hurricane season (and a supposedly bad one at that) is upon us! 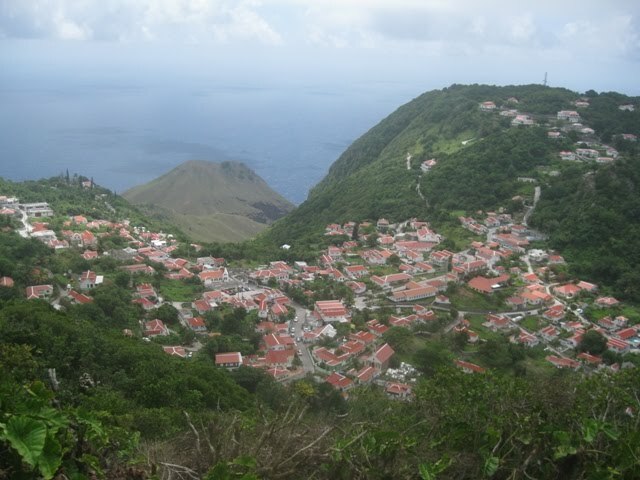 For over a year now, I wanted to visit Saba, which is close to St. Martin and part of the Netherlands Antilles. 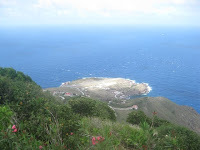 The whole island is more or less a rock and very different from its neighbors. 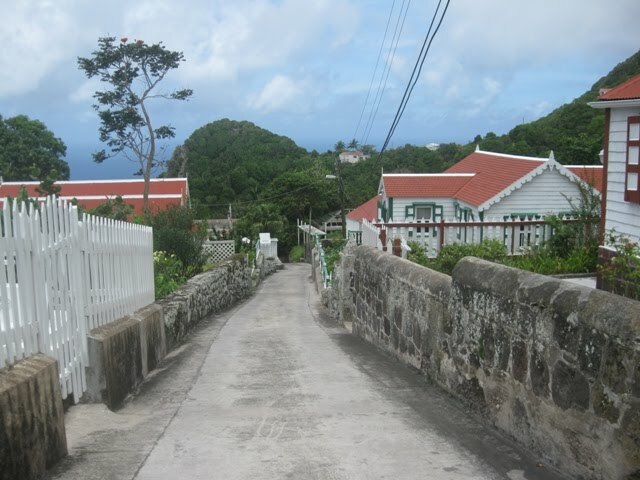 It is relatively small, lacks beaches and flat roads, has few inhabitants and nature abounds. Visiting by boat is possible, but uncomfortable, sometimes even dangerous, and going to shore is very challenging. The best way is to swim, but that involves other inconveniences and excludes taking Darwin to shore for his potty breaks. Mark is not a fan of taking Irie over there, so my only possibility was to visit by myself. Ferries are expensive and their schedule is unbeneficial, so flying is the better option. Not only do you get to Saba in 15 minutes and hassle-free, but the whole experience is a thrill to say the least! The plane is loud and shaky, the views marvelous. Before you realize St. Martin is behind you, the big mountain of Saba dooms ahead. When you sit in front, you almost have a pilot’s perspective of the trip. With a quick drop, the wheels touch bottom and its strong breaks stop the plane in seconds, while it turns to the small airport building. The runway is the smallest in the world and ends at the ocean’s edge, something you get to see up close when taking off again! 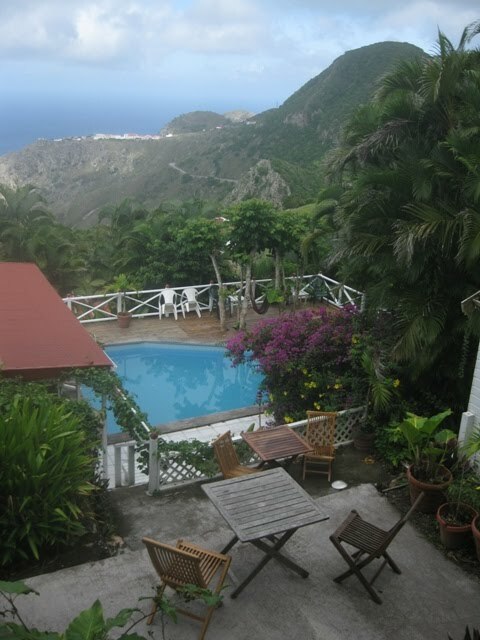 After my first encounter with Saba’s climbing roads and steep steps, I checked into rustic El Momo Cottages, at $50 for one person ($65 for two), the cheapest place on the island. By 10 am, I was ready to explore. I observed a glass blowing demonstration at Jo Bean’s Gallery and ventured into town. 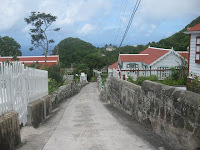 Windwardside, the biggest village (but not the capital; that’s The Bottom), is a cute collection of white gingerbread houses with red roofs and white picket fences. It is very quiet and peaceful with a few churches, a museum, a couple of grocery stores and a handful of bars and restaurants. Goats roam free around town and in the countryside. Saba is full of hiking trails; you can basically walk around the whole island and rarely touch concrete. Mt. 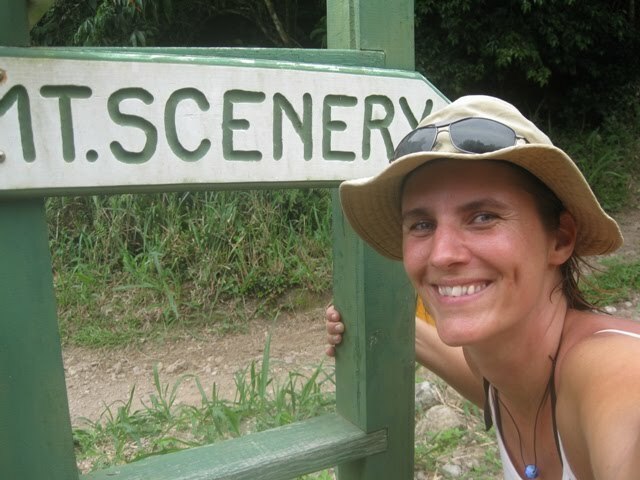 Scenery, with its 1065 steps is the biggest challenge. When the weather is nice, the views are amazing, but I happened to visit on a very cloudy weekend. 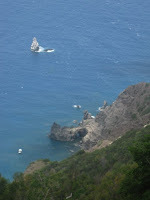 It took a few hours to climb the big and steep steps cut out of rock. Taking pictures was a good excuse to catch my breath multiple times during the trek. 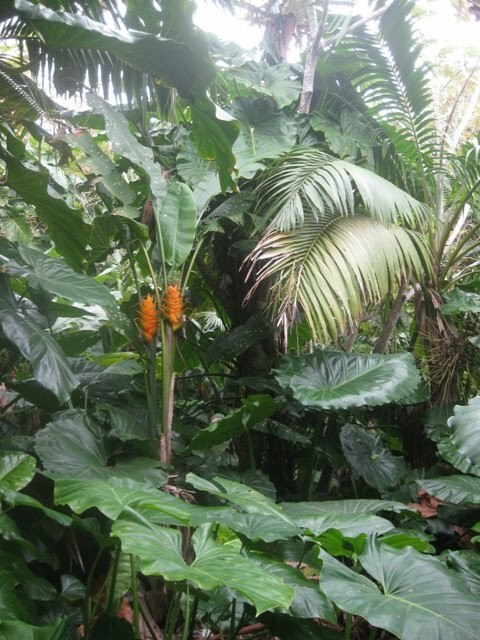 The whole hike, I was surrounded by moist jungle plants, green elephant ears, banana and palm trees, colorful flowers and singing birds. 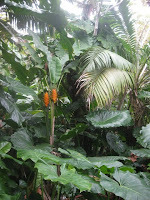 Once I reached the level of the cloud forest, there wasn’t much reason to keep going, since no views existed, the air was wet and chilly and everything was white. 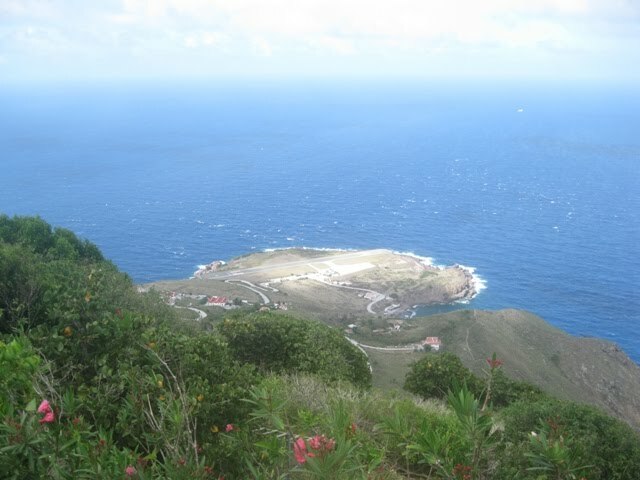 Somehow, I refused to believe this until I stood on the highest point of the Netherlands Antilles with the whistling wind and white clouds as my only company! I continued on the main track, passed the sign for Mt. Scenery and followed the Bottom Mountain Trail. 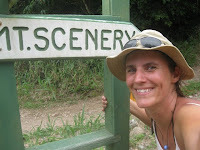 By Saba standards this one was pretty flat and I enjoyed being all alone in the wilderness and the pastures, surrounded by rainforest, wild goats, fluttering birds, spotted lizards and silent butterflies. The worst part of the day (for people with a painful knee) was the steep and infinite (was it?) path down the mountain towards the road. As slow as I could, I proceeded, my only joy the taste of ripe mangoes that almost fell on my head. 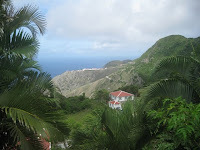 When I finally reached the winding concrete, I faced a dilemma: “giving up” and turning left, steeply downhill to reach The Bottom and hope to catch a ride towards the airport (the opposite side of the island), or “be strong” and turning right, steeply uphill (yeah!) to reach the Sandy Cruz Trail, the most popular one for visitors. Based on the painful prospect of going down more, and on stubbornness to do this “nicest” trail, I turned right and started climbing deliberately, taking breaks at every turn. 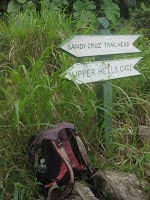 The Sandy Cruz Trail: should I or should I not? Once I started, there was no way back. Most people do this trail the other way around; I did find out why. 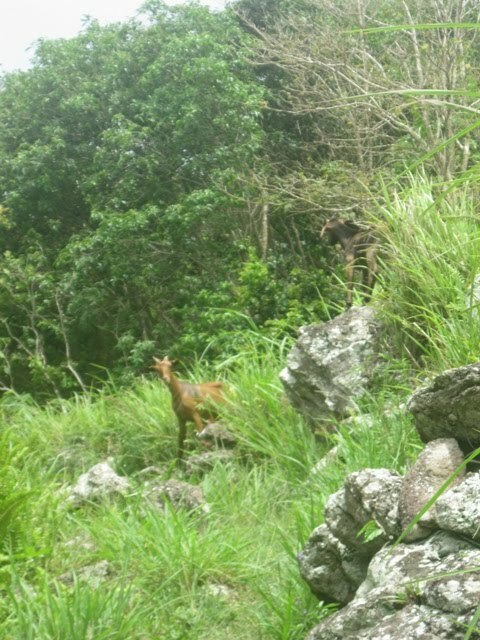 About five minutes into the hike, I came across a young couple, whom I asked about the hike. To my great relief, they said they had been going downhill for most of the way. That meant loads of climbing for me. Being one that actually hates climbing and sweating, I found myself just wanting to do that very same thing right now (the climbing anyway)! After a glimpse down to the water with the rocky cliffs, a fast snack, a short break and a few minutes to cool off, I was ready to continue on. Behind me, a local man appeared. He was wearing camouflage clothes, a riffle and a rake. He asked me whether there was anybody behind me. I replied I was going into his direction. A tough climb started, and kept going and going and going. There was no end in sight and I soon understood why tourists did it the other way around. The humidity was incredibly high and I needed to stop frequently to breath and wring my soaking wet shirt. 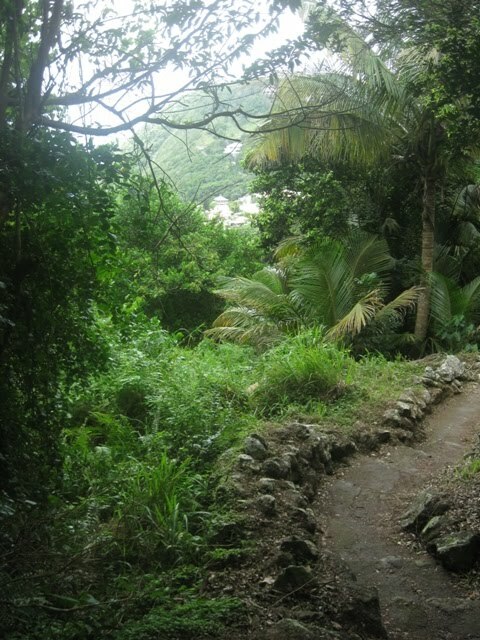 The steep path went on for what seemed forever, but… my knee felt fine. At last, I arrived at another split. 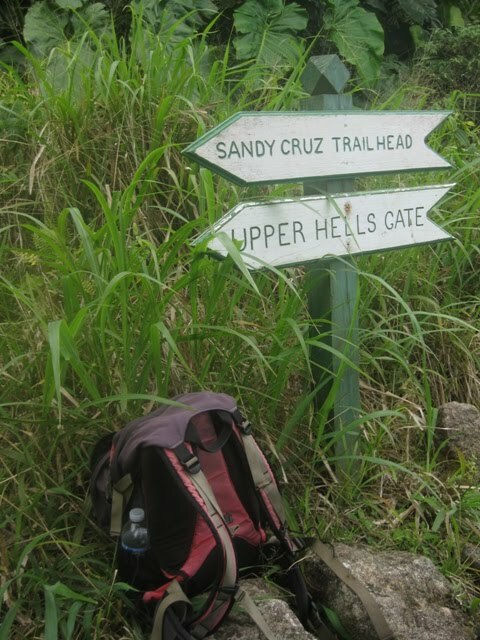 I had the choice of taking the All Too Far Trail, followed by the Sulphur Mine Trail which would bring me to Lower Hell’s Gate, the town closest to the airport or continuing along this trail into Upper Hell’s Gate. The second option promised the least downward track (and once on the road, I hoped to hitch a ride), so I continued on the same trail, downhill this time, until I reached the pavement. From here on, the road wound down for miles, all the way to the airport. I started slowly and discovered I could actually do it with one stretched leg and therefore reduced pain. It might have looked funny and I forced a little smile myself, proud of my achievement and endurance. Soon, I developed a robot-like stride downhill and just like the Duracell man, I kept going. Halfway down, it didn’t seem worthwhile to hitch a ride anymore. And, even so, cars had no room or the momentum of stopping along the narrow, steep road. At exactly 4 pm, I entered the bathroom of the small airport building to freshen up. I had made it and with plenty of time to catch my 5:30 plane back. The idea of walking down to a tidepool nearby was given up after I tried to stand up again subsequent to sitting on a bench for 20 minutes. Totally exhausted and with a sore body, I hugged Darwin and Mark back in St. Martin. Did I really just leave the previous morning? 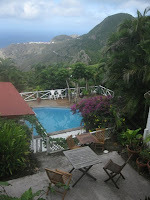 I squeezed the most out of my trip, my money and my muscles, but Saba was worth it!